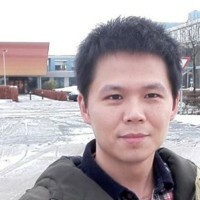 I am Qinghua Zhao, a third year PhD of Wageningen university. Currently, I mainly focus on how diversity and topology shape food web stability in terms of equilibrium and non-equilibrium, and also study how stability is changed by human activities e.g., climate changes, and transition within food webs. The main purpose to join this course is to merge new perspectives into my studies. Most important, I am expecting to chat and talk with all you.